Entrepreneurship is not easy. Which is why you need some inspiration from time to time when you’re forging your own path. Twitter is an excellent resource for inspiration, as you can find entrepreneurs from all over the world, sharing their thoughts, ideas, videos, articles, podcasts, and even some of their favorite tools, books, and strategies. 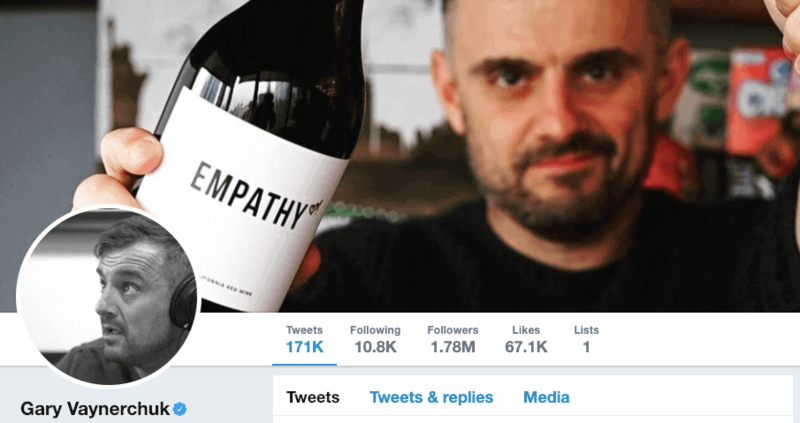 When it comes to the sheer magnitude of content on social media, nobody does it better than serial entrepreneur Gary Vaynerchuk. Gary Vee’s Twitter timeline is a treasure trove for entrepreneurs. With close to two million followers, Gary Vee follows his jab, jab, jab, right hook philosophy of social media marketing with a sea of motivational quotes, hustle tips and tactics, snippets of his videos and podcast, and of course, the occasional promotion of his latest business endeavor. 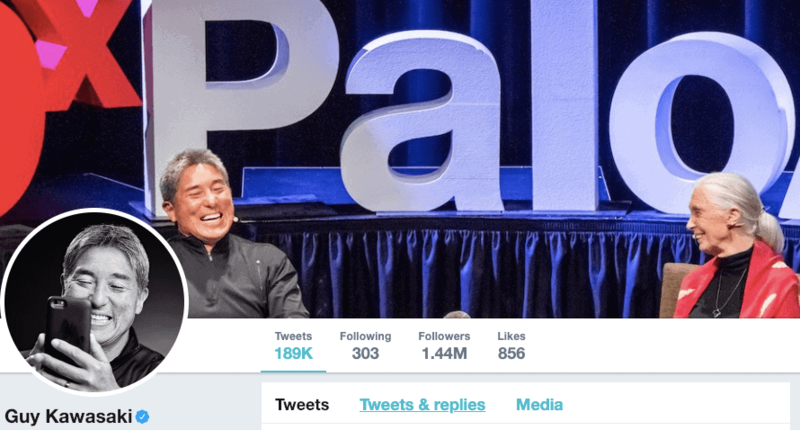 Guy Kawasaki is a world-renowned marketing expert, author, and influencer. He was an integral part of Apple’s marketing team and currently the chief evangelist at Canva, the online design tool. 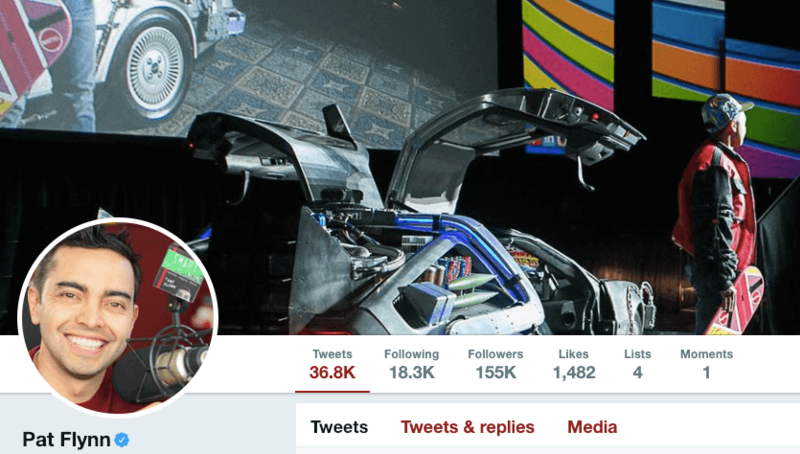 With more than 1.4 million followers on Twitter, Kawasaki keeps his audience engaged by tweeting frequently on business, marketing, his favorite tools and hacks, and his take on current events. Richard Branson is the enterprising founder of the Virgin Group, best-selling author, philanthropist, and adventurer. 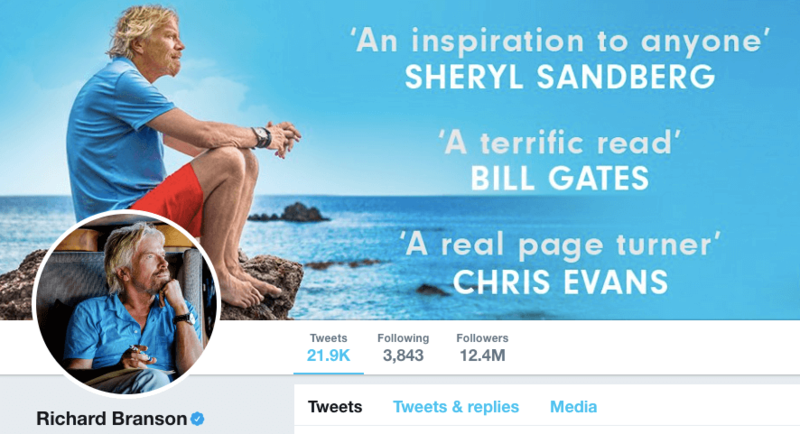 Branson has an active Twitter presence with over 12 million followers. Branson tweets about his latest business endeavors and adventures, tons of motivational content, his views on the current events, and shares his thoughts on a wide range of topics ranging from entrepreneurship to wildlife to sports. Arianna Huffington co-founded Huffington Post and is ranked among the most influential women in media by Forbes. In 2014, she published the New York Times best-selling book, Thrive where she makes a compelling case for living a successful life that is not just measured by money and power, but also by well-being, wisdom, and compassion. She’s currently focusing on her new startup Thrive Global where her mission is to end stress and burnout. 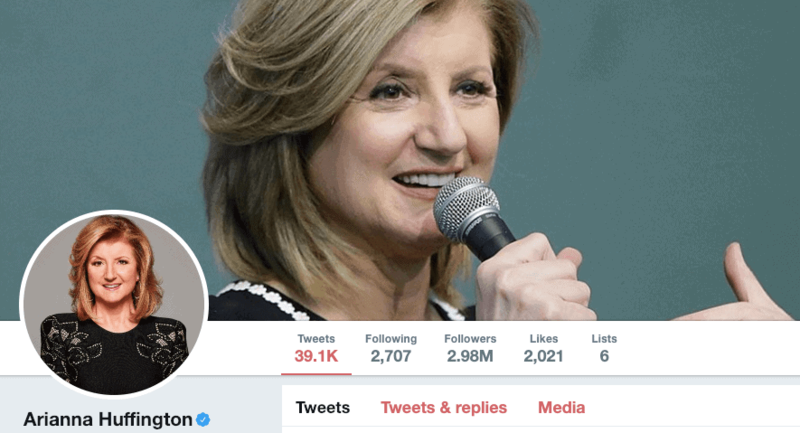 Huffington has a huge following on Twitter with almost 3 million followers. She tweets regularly about her take on current affairs, the importance of health and sleep, links to her latest articles, motivational quotes, and about her latest role at Thrive Global. Tim Ferriss is an entrepreneur, public speaker, and a best-selling author. He’s widely known for his self-help books, including The 4-Hour Work Week which has sold over 1,350,000 copies worldwide, and his podcast where the past guests include Arnold Schwarzenegger, LeBron James, Maria Sharapova, Tony Robbins, Malcolm Gladwell, Gary Vaynerchuk, and 300+ more. Ferriss has over 1.5 million followers on Twitter where he shares snippets from his podcast, motivational tweets, links to his latest blog posts, videos, and frequent retweets of interesting content from his massive entrepreneur network. Reid Hoffman is an internet entrepreneur, author, and venture capitalist. He co-founded LinkedIn and was the company’s executive chairman until its acquisition by Microsoft in 2016. Hoffman tweets regularly on topics such as entrepreneurship, politics, and investing, and occasionally shares industry insights, his take on current events, and inspirational quotes. Sophia Amoruso is the founder and owner of Nasty Gal, an American retailer that specializes in fashion for young women, and the New York Times best-selling author of #GIRLBOSS, her autobiography. The book was adapted into a TV series by Netflix. Amoruso has over 100,000 Twitter followers where she shares business advice for women entrepreneurs and would-be entrepreneurs, inspiring tweets and quotes, and her latest work at Girlboss Media. Remember: your mediocre is better than everyone else’s best, so go do it. Tony Robbins is a world-renowned life coach, entrepreneur, philanthropist, and author. He’s best known for his energetic seminars, speeches, and self-help books such as Awaken the Giant Within, Unlimited Power, and his latest book Unshakeable. 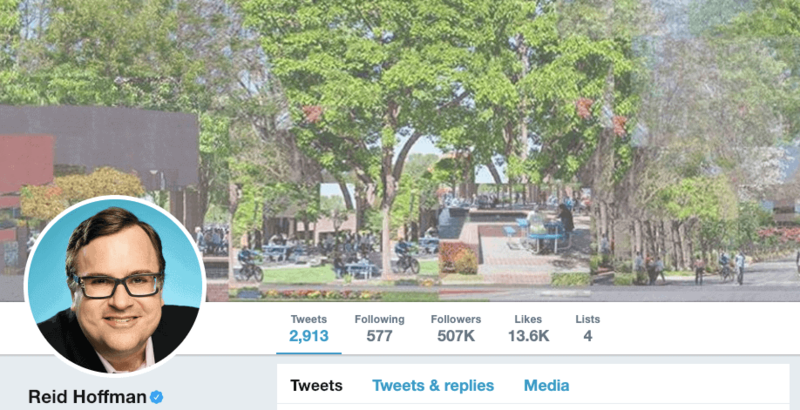 On Twitter, Robbins has over 3 million followers and maintains an active presence by sharing snippets of his seminars and speeches, motivational content, and links to his latest podcast episodes, videos, and blog posts. Mark Cuban is a serial entrepreneur, investor, and owner of NBA’s Dallas Mavericks. He’s also a panelist and investor in the reality TV show, Shark Tank where aspiring entrepreneurs pitch their idea in hopes of securing investment from one of the “sharks”. 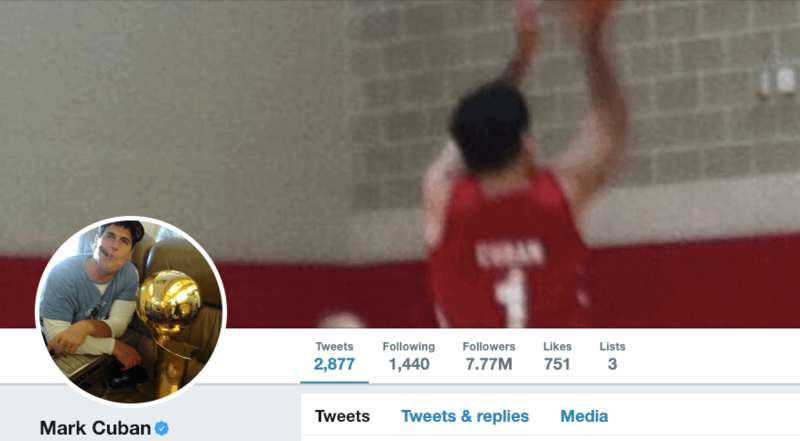 Cuban has close to 8 million Twitter followers and he keeps his community engaged by sharing business advice, his take on current events, inspiring quotes, and of course, about Shark Tank and Dallas Mavericks. Unless you’ve been living under a rock, you’d know who Bill Gates is. Gates co-founded Microsoft and held critical positions of chairman, CEO, and chief software architect at the company. Since stepping down from Microsoft in 2014, he’s largely focused on philanthropic activities at Bill & Melinda Gates Foundation, and The Giving Pledge, which he co-founded with Warren Buffet. 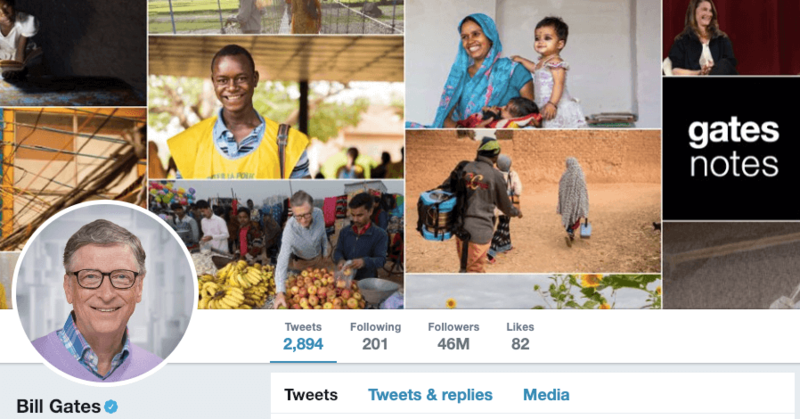 Bill Gates has a massive Twitter following of 45 million followers. He shares industry insights, favorite books, and his latest philanthropic endeavors. Pat Flynn is a professional blogger and entrepreneur, known for the Smart Passive Income blog and podcast. With more than 155,000 Twitter followers, he shares blogging tips and strategies, inspiring quotes, as well as links to his latest podcast episodes where he’s interviewed several business influencers, including Tim Ferriss, Ramit Sethi, Amy Porterfield, and Gary Vaynerchuk. Barbara Corcoran is an entrepreneur, author, investor, and one of the key investors aka “sharks” on the TV show, Shark Tank. 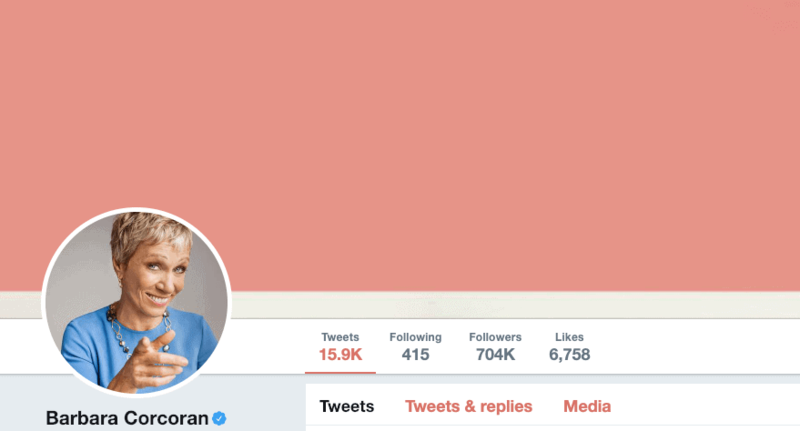 Corcoran has more than 700,000 followers on Twitter, and she keeps her followers engaged by tweeting lots of motivational content, links to her latest podcast episodes, and updates on Shark Tank. Eric Ries is an entrepreneur, blogger, and author, best known for The New York Times best-selling book The Lean Startup. On Twitter, Ries has close to 300,000 followers, and he tweets on topics like startups, the lean startup movement, and entrepreneurship. Daymond John is an entrepreneur, author, motivational speaker, and one of the key judges/”sharks” on Shark Tank. 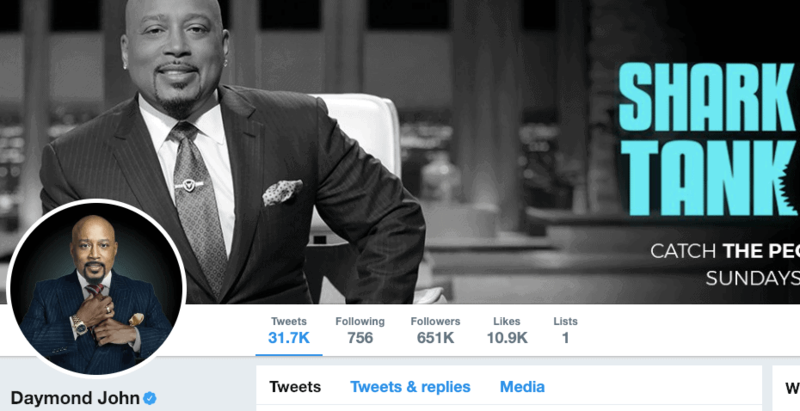 Daymond has over 650,000 followers on Twitter and he tweets tons of motivational content for entrepreneurs, business advice, and occasionally promotes Shark Tank. Kiran Mazumdar Shaw is the chairperson and managing director of Biocon, India’s largest biotechnology company. She was ranked among world’s 100 most powerful women by Forbes. 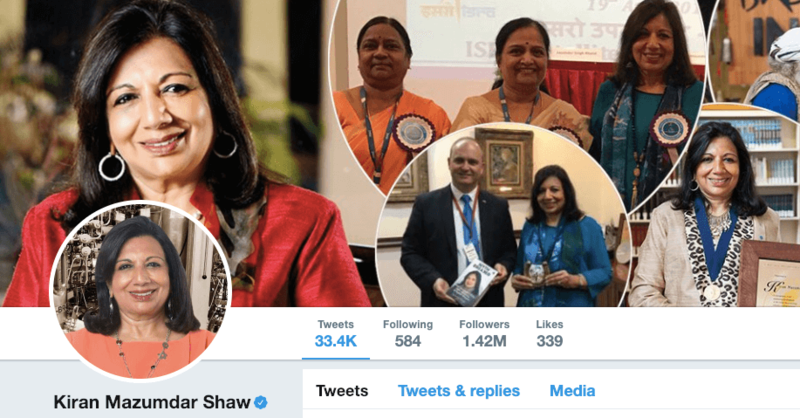 Shaw maintains an active presence on Twitter where she has over 1.4 million followers. She tweets frequently on topics like entrepreneurship, the startup ecosystem, biotechnology, education, and occasionally shares her views on current affairs. Hiten Shah is a serial entrepreneur and startup advisor who has started multiple SaaS companies, including KISSmetrics, and CrazyEgg. To his 220,000+ followers on Twitter, he shares entrepreneurship advice, motivational stuff, and frequently retweets engaging content from his huge network of fellow entrepreneurs and innovators. Andrew Chen is an entrepreneur, growth hacker, blogger, and startup investor. He’s currently the General Partner at Andreessen Horowitz, a private venture capital firm. 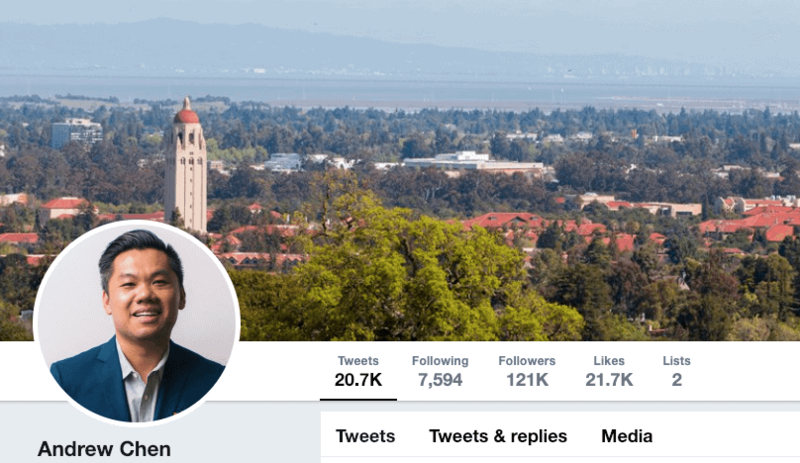 Chen has over 120,000 followers on Twitter, where he shares his latest articles, motivational content and advice for startups, relevant industry news, and curates content on topics such as growth hacking, startup marketing, and investing. In addition to the above accounts, you could also consider following these business accounts to get all the latest industry news and insights. Entrepreneur (TW: @Entrepreneur) – Business magazine and website that publishes news stories about entrepreneurship and small business management. Fast Company (TW: @FastCompany) – Fast Company is a monthly business magazine published in print and online that focuses on technology, business, and design. Forbes (TW: @Forbes) – Forbes is a business magazine which features original articles on finance, industry, investing, and marketing topics. HubSpot (TW: @HubSpot) – HubSpot is a company that develops software products for inbound marketing and sales. Reuters Business (TW: @ReutersBiz) – The business division of Reuters where you can get the latest and top business news around the world. Business Insider (TW: @businessinsider) – Financial and business news website. TechCrunch (TW: @TechCrunch) – TechCrunch publishes tech news, analysis of emerging trends in tech, and profiling of new tech businesses and products. Harvard Business Review (TW: @HarvardBiz) – Harvard Business Review is a management magazine published by Harvard Business Publishing, a wholly owned subsidiary of Harvard University. If Twitter is your preferred social media platform to share your thoughts and get the latest news and insights on startups, then you need to follow the Twitter accounts featured in this article. Did we miss out any of your favorite entrepreneurs or business accounts on Twitter? Let us know in the comments section. If you liked this article, please do us a favor and share this article with your network on Twitter and on other social channels using the social share bar on the left.